FACEBOOK chiefs have been summoned to an urgent meeting with a government minister over revelations that it instructed moderators to allow extreme content to remain on the site. An undercover investigation for Channel 4's 'Dispatches' revealed secret footage of training sessions for moderators for the online platform which showed they were instructed not to remove extreme, abusive or graphic content from the platform even when it violated the company's guidelines. The expose has prompted renewed calls for the government to ramp up regulation of social media companies. 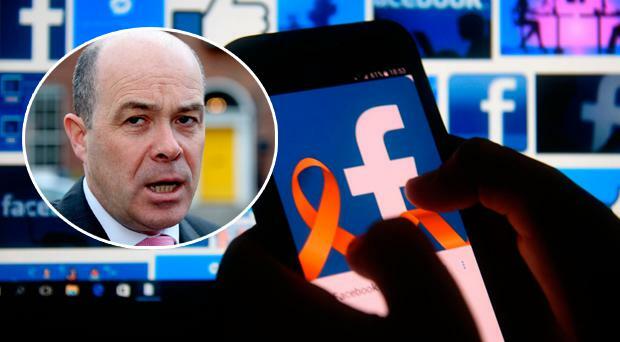 Communications Minister Denis Naughten has requested a meeting with the social media giant over the “serious questions” raised in the programme over the company’s content review processes. The secret recordings included videos made in Cpl Resources office in Dublin and exposed how moderators are trained to decide which content to leave online. One moderator said: “If you start censoring too much then people stop using he platform. It’s all about money at the end of the day”. In a statement the minister said he is aware of the contents of the programme and will meet with the company in New York tomorrow. The broadcast raises “serious questions” around the company’s handling of harmful or illegal content and its internal systems in place to report instances of abuse, suspected abuse or other illegal activity to the appropriate authorities. Siobhan Comiskey, Public Policy Manager at Facebook told RTÉ’s News at One that the company are “concerned” about what they saw in the programme. “We take the issue of people’s safety very seriously at Facebook,” she said. “Keeping people on our platform safe is our primary concern. What we saw last night does concern us in terms of the issues that it’s raised… we are takings steps immediately to rectify and to inform people about what our policies are and how to properly implement them,” she said. “What we saw last night is that some issues were raised around how our policies are applied." Speaking about a video which showed a child being beaten by a man that was not selected for removal Ms Comiskey said the company does refer matters to local law enforcement for investigation and that the only "very narrow exception" where such content would not be removed immediately is where the child is at risk and the content is being shared to raise awareness in an effort to bring the child decision. The trainers featured in the programme have already been retrained she said. Ms Comiskey said the platform does not allow egregious content online in an effort to make money, adding that neither users or advertisers wanted to see such content. "Let me be clear that hate speech has no place on Facebook," she said.